I used to be a big fan of the “Magic Eye” images, and I’m fascinated by the 19th century stereo photos of historical images. 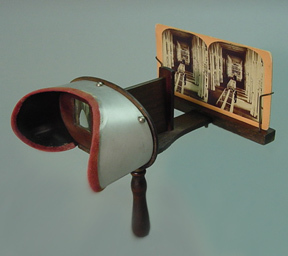 They were photographed with two lenses, one beside the other, so they could be “stereo-viewed,” either by altering your vision or using a “stereoscope.” The two photos below were taken independently of each other, possibly at different times and by different people. However they were close enough to a stereo pair that with a little bit of Photoshop they can now be viewed in 3D. This entry was posted in 1932-1941: Disney Glory Days, California, Cards, Disney, Hollywood, Photography and tagged 1930s, 3D, Disney Studios, Hyperion, Stereoview. Bookmark the permalink.